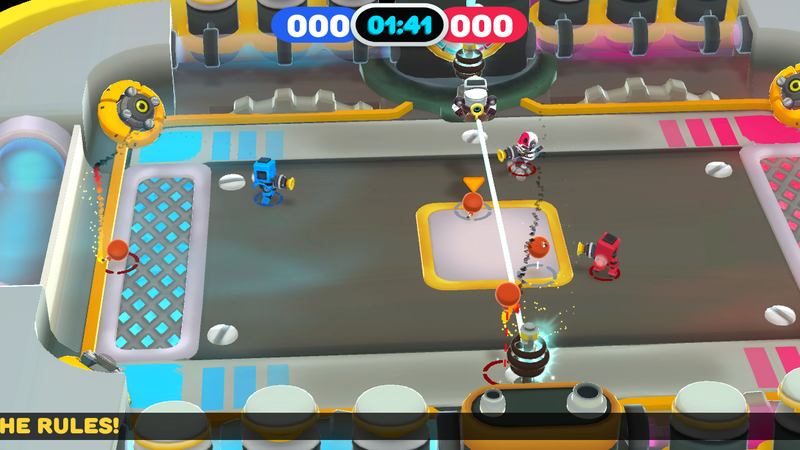 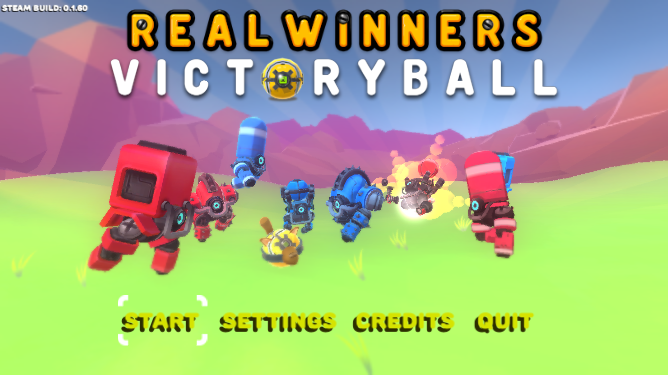 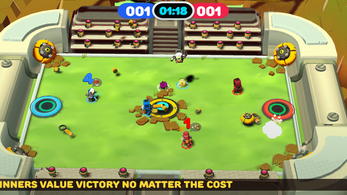 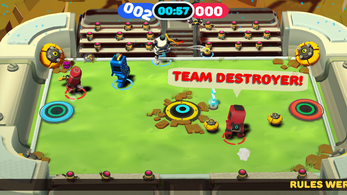 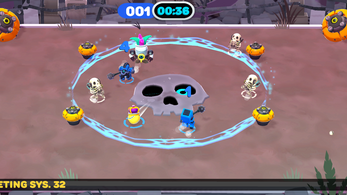 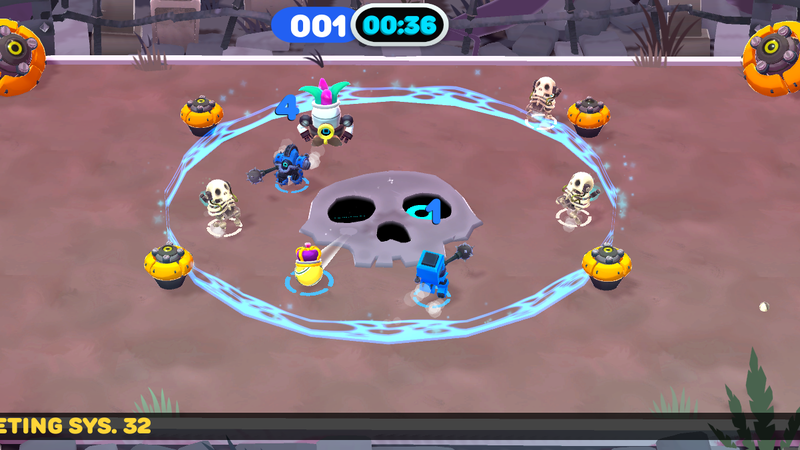 In Real Winners: Victoryball, you and your closest couch-friends operate as robots desperately attempting to play soccer in a never-ending quest to Sports It Up! 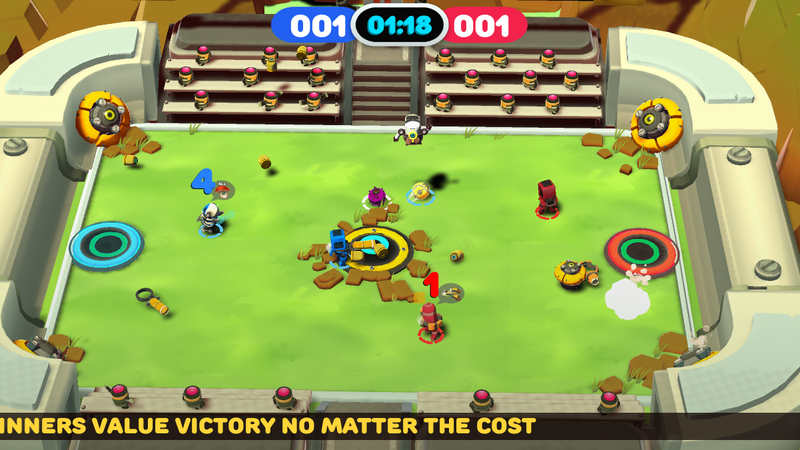 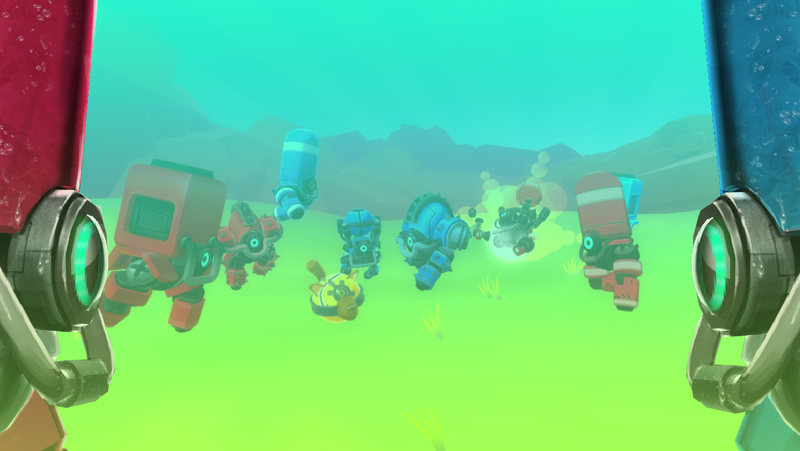 Work together, alone, or in teams to kick balls and claim trophies while using powerful "Mods" to flip the game on it's head! 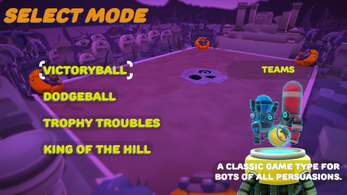 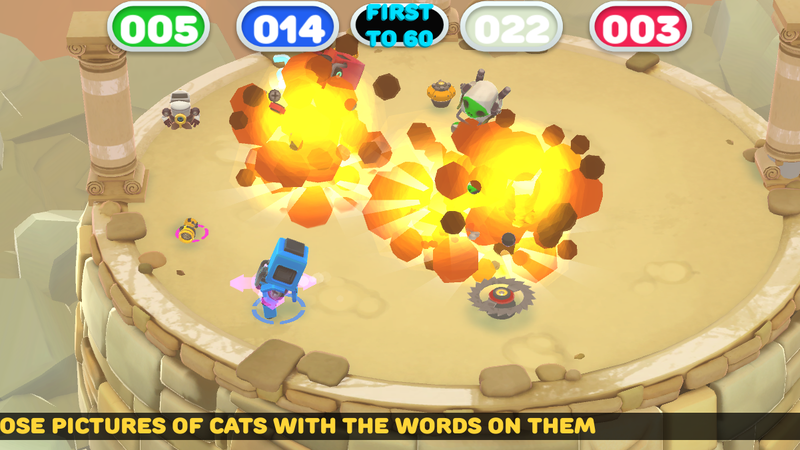 Throw out buzz saws or turn the balls into dog-balls that come leaping and bounding after you! 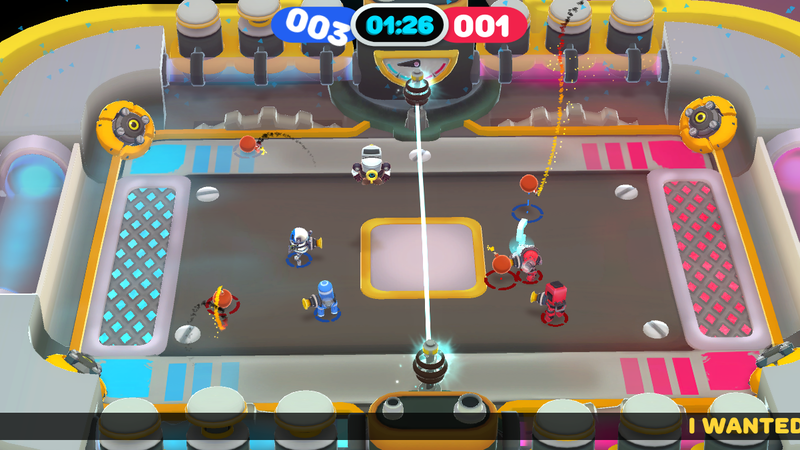 Just make sure you score points and - most importantly - have fun! 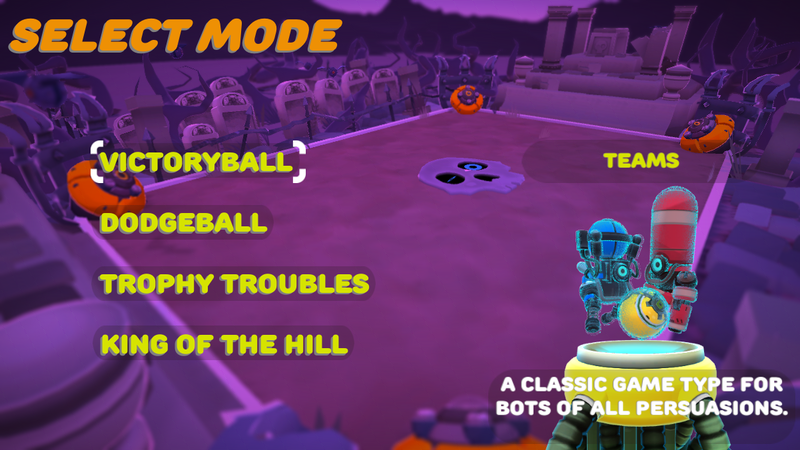 Because isn't that what #sports are all about?